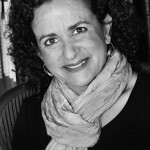 Anna Kinney is a practitioner at VimVivo. She speaks, coaches, and teaches on the topics of communications, high-stakes conversations, and emotional intelligence. Anna earned her undergraduate degree from Emory University and MBA from the University of North Carolina, Chapel Hill. Sharmin Banu MS, CPC, ACC is a highly regarded Career and Leadership coach. With 12 years of experience in the software industry as an Engineer and a Manager, she has been coaching since 2009. Sharmin is passionate about helping clients tap into their intrinsic motivation and core values, leading to deeper engagement essential for a thriving workforce in today’s world. Sharmin’s clientele comes mostly from hi-tech companies including Boeing and Microsoft. She presents workshops for organizations, both for and non-profit, and she is a speaker at various professional events. Sharmin writes regularly. Her articles have been published in the ICF blog and Personal Branding Blog sites. Sharmin works as a Career and Leadership Coach at Impact Group. She holds an MS in Computer Science, a Certified Professional Coach, an ACC from International Coach Federation (ICF) and a Certification for EQ in Action, Tilt 365 and Executive Coaching with a Backbone and a Heart. She has been awarded 2015 Coach of the Year by ICF WA Chapter. 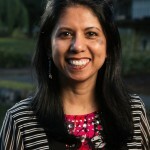 Sharmin loves the Pacific Northwest and lives in Kirkland, WA with her husband and their young daughter. For over 25 years, I have helped leaders improve relationships with their teams and customers. I enjoy working with executives and middle managers who are enthusiastic about making positive changes in their organizations and want to nurture a respectful environment. I support leaders in making strategic decisions and facilitate teams in real-time team action planning, leading to increased commitment and accomplishing goals, both short- and long-term. My coaching clients gain insights from using the EQ In Action Profile, increasing awareness of their strengths and the challenges they face when they are in stressful situations. They find it to be a valuable tool for setting the stage to improve relationships both at work and in their personal lives. When combined with related conversations, it adds richness to the coaching process, providing a useful framework for learning and growth. I bring interpersonal skills from my Licensed Clinical Social Work education (MSW from University of Washington) and work experience, including sensitivity in dealing with all types of people. I directed the Total Quality Improvement program at the VA Puget Sound Health Care System, completing a career at the VA before establishing a consulting firm where I coach leaders and facilitate retreats and training for large and small healthcare and government organizations. I currently hold contracts for organizational development and executive coaching with the University of Washington and Washington State University. George Brewster, is a successful sales professional who works with organizations and individuals to help them build upon their strengths to achieve consistent results. His passion is helping people identify and experience the best that they have to offer so that they can be as effective as possible. He applies his skills, experience and powers of observation to help his clients achieve alignment with the priorities they have set. As the founder of Gimbal Systems, he helps clients build processes and practices that ensure they deliver on their promises to others while reaching their own desired outcomes. His results based coaching focuses his clients on establishing more “degrees of freedom” in their personal and professional lives. Identifying how people show up and manage themselves in relationship to others is a foundational part of all his work and developing Emotional Intelligence is critical to Gimbal Systems calibrating for success process. In addition to his sales and coaching experience, George also has a Master of Arts degree in Applied Behavioral Science. Mark Craemer collaborates with his clients to bring about behavioral change to improve workplace relationships that result in more efficient and productive organizations. This can include leadership coaching of managers or directors, training effective communication skills to workgroups and teams, or planning and implementing an organization-wide change initiative. Craemer Consulting provides a collaborative and customizable approach that brings clarity and commitment to his clients and their organizations. Mark’s approach is based on more than 25 years of work experience in both technology companies and non-profit organizations. He is well versed in the interpersonal challenges facing organizations from both practical experience and research-based education. 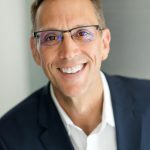 In addition to his certification in emotional intelligence testing, Mark holds a master’s degree in applied behavioral science from the Leadership Institute of Seattle and a bachelor’s degree in journalism from the University of Oregon. Mark also writes a blog called Workplace Wrangler for the Seattle Post-Intelligencer that focuses on workplace communication, leadership, employee engagement, organization development and other workplace issues. Jeannine has over 25 years of professional experience in the areas of human development, education, corporate training and business operations. 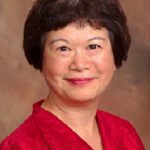 She completed her Bachelor of Science Degree in Human Ecology at the University of Minnesota and operated a successful private psychotherapy and consulting practice for 16 years. 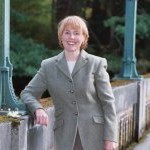 She relocated to Seattle in 1996 and received her Masters Degree in Applied Behavioral Science at the Leadership Institute of Seattle, Basytr University. During the past 10 years, Jeannine’s work has included teaching career development coursework at the college level and consulting in the areas of change management, emotional intelligence and career development. She joined Learning in Action in 2004. As a visionary leader, I empower business leaders who want to make a bigger impact. Leading remote wilderness expeditions in the far reaches of Chilean Patagonia and throughout the world, Andrew developed an experiential and reality-based knowledge in team and leadership development. His focus as a consultant emphasizes executive coaching, strategic and vision planning, conflict management, mediation, leadership, team, and board development. Since 1999 Cline Consulting’s client list has included The Bill & Melinda Gates Foundation, American Academy of Pediatrics, NOAA’s National Marine Sanctuaries, the National Park Service, West Marine, Starbucks, Microsoft, REI, and other businesses and non-profits around the world. Andrew uses the EQ in Action Profile Assessment and other resources of Action in Learning Technologies with coaching clients and in his leadership and team development work. Fran Fisher is a Master Certified Coach. Her passion is working with visionary leaders, supporting them in fulfilling their highest personal and professional aspirations. She is one of the pioneers of the coaching profession, a published author and international speaker. Fran is founder of the FJFisher Coaching and Consulting, providing coaching programs and services for individuals, small business owners, executives and collaborative work teams. Together, we discover vision, purpose, and values; we design a plan for fulfilling vision and purpose, and we celebrate learning, growth, and transformation in the process. Clients enhance their performance and profitability, and enjoy greater personal and professional fulfillment. In addition to the link above, more information is available at www.franfisher-coach.com and on her blog www.powerfulconversations.typepad.com. As an experienced executive coach, Kelleen supports leaders in creating work that works and a life that works–at the same time. What makes her work unique is her ability to draw from many disciplines and experiences including leadership, business, entrepreneurship, emotional intelligence, blended learning methodologies, psychology, and a variety of healing approaches. She brings a range of tools and the expertise to observe and assess breakdowns from many vantage points. Kelleen is able to provide a sounding board, support, training, and opportunities for growth no longer available from traditional sources like family, friends, partners, teachers, even bosses. She helps clients leverage their dissatisfaction in any domain of their life to facilitate meaning, increase effectiveness, promote new interpretations, improve communication, clarify legacy, and create positive and lasting awareness. Kelleen has over 20 years of corporate experience, including leadership development, coaching, training, facilitating and has travelled all over the world to speak with clients. She’s been an Executive Coach since 2003, after completing her Master’s of Science degree in counseling at The Johns Hopkins University in Baltimore, Maryland. She also holds an MBA from Columbia Business School in New York City and a Bachelor of Business Administration from Saint Mary’s College of Notre Dame in Indiana. Kelly brings over 22 years of corporate business experience to her practice. An award-winning leader, she has performed in a wide variety of roles and industries over the years, including regional Director of Operations for the digital media division of an international Experiential Marketing (branding & events) company, regional Program Manager for an international Management Consulting firm, and most recently as President of a national, employee-owned Information Technology services firm. Based on the nickname earned through her in-house coaching work starting in early 1999, Kelly founded Coach Kelly with the goal to serve more individuals, teams and organizations as an independent coach. The result is a powerfully authentic blend of in-the-trenches business experience, professional coaching presence, and the foundational desire to help her clients achieve sustainable results. Molly Kaufmann - SPHR, M.A. Molly brings senior-level human resources experience and expertise in human behavior and motivation to organizations as principal of HR@Work. Her work is collaborating with organization leaders and their teams to improve performance and create long-lasting change. This collaboration produces bottom-line results and enhances employee satisfaction by improving relationships and processes through which they accomplish their work. 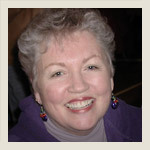 She helps organization members learn and develop through her use of behavioral science principles, interventions and values that include participation, humanism, choice, and through her use of adult learning styles and teaching techniques. Molly holds an M.A. in Applied Behavioral Science from the Leadership Institute of Seattle at Bastyr University in Seattle, Washington, and a B.S. in Business emphasizing Human Resources Management from the University of Idaho. She is a certified Senior Professional in Human Resources (SPHR) from the Human Resources Certification Institute (HRCI) and is certified in emotional intelligence assessment from Learning In Action Technologies. Maureen Moriarty, MA, Applied Behavioral Science, professional coach, trainer, team facilitator and founder of Pathways to Change, partners with leaders to increase effectiveness by focusing on emotional intelligence (strengths, challenges and opportunities) and helping leaders grow and develop communication and leadership skills. Maureen teaches clients new tools and practical techniques to improve leadership and team collaboration. Her unique coaching approach allows clients to have an active day- to- day partner –often helping clients address leadership challenges while they are doing work with their teams. Maureen brings over 20 years experience in consulting, sales/marketing, public relations and management, with industry experience in the travel, healthcare, financial, construction and manufacturing sectors. She is a business columnist for the Seattle Post Intelligencer on the Leadership and Team Lessons from the NBC series, The Apprentice. Prior to receiving certification as a coach from the Hudson Institute of Santa Barbara, Lisa spent over twenty five years engaged in urban planning and design, anti-poverty program development, grant writing and strategic planning. Her non-profit leadership experience includes serving on community-based organization boards and a leading international funder of human rights and social change organizations. She earned her B.A. in Urban Studies and her Masters in City Planning from the University of Pennsylvania. Shannon is a consultant, facilitator, and educator in the fields of psychology, business, and identity. She holds a faculty appointment at Argosy University and is an associate of The Identity Circle, a consulting firm specializing in identity research and practice. Her expertise and passion are to help people and organizations evolve through aligning what they do with who they are, whether in the workplace, marketplace or classroom. Shannon’s work is grounded in 15 years of experience across the education, engineering and urban planning, and personal development fields. Shannon’s work with individuals includes Identity Mapping (a personal and leadership development tool) and EQ in Action Profile. Her experience and belief is that when we live who we are (identity) and evolve how we are (EQ), we are able to create relationships that fuel our ability to make meaningful contributions to our personal and professional communities. Shannon’s work with organizations includes project management and organizational identity consulting. As a project manager, she has a proven ability to lead teams in ways that make the most of individual competencies and passions. 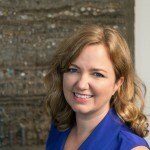 As an organizational identity consultant, Shannon helps leadership teams recognize and articulate the unique value their organization contributes to the marketplace, setting the stage for creating sustainable competitive advantage. Shannon holds a BA in Psychology from the University of Washington, an MS in Transportation from the University of Washington, and an MS in Organization Development from Pepperdine University. Mary has over fifteen years of experience in the field of executive coaching and leadership development, to which she brings evocative and strategic insight. As founder of The Heart of Business, Mary has dedicated her time and energy in partnering with others to increase their impact and influence through self-awareness, strong communication skills and purposeful action steps. With an eye to detail both micro and macroscopically, Mary is both an inspiring advocate and a precise technician. She works with organizations of various fields, such as technology, financial services, healthcare, food service, and utilities. Some of her clients include Aramark, Microsoft, Pricewaterhouse-Coopers, Level 3, EPA, Children’s Hospital, Dept. of Ecology, The Russell Family Foundation and Snohomish County PUD. The defining attribute Mary has to offer is something that sets her apart from the rest—an aptitude for supportive, responsive, and active listening. It is her philosophy that all success; be it in business, in a team, in relationship, or in life, is predicated upon one thing: the power of authenticity, clarity, and integrity of communication. Long before she became interested in the power of Emotional Intelligence, she had the innate combination of honest self-awareness and honed relational skills that have made her life, her relationships, and her endeavors a success. It is her commitment and her joy to creatively share these strategies and techniques with her clients. With a Bachelor of Science Degree and a Masters in Applied Behavioral Science focused on Leadership and Consulting, Mary is able to combine her experience, education, and expertise as resources for her clients. Having been certified by Hudson Institute of Santa Barbara over a decade ago, Mary has over 3,500 coaching hours and is recognized as a Professional Certified Coach (PCC) by the International Coach Federation (ICF). She also has had the privilege of co-creating and co-facilitating an ICF approved Coaching program in India for a hi-tech organization. Along with being an accredited master facilitator from Newton Learning, she is also certified to facilitate both Team Coaching International and the NOW WHAT programs. Her two favorite assessments that add to her clients’ interpersonal awareness are The Learning in Action EQ Profile and The Leadership Circle 360 profile. As a seasoned executive coach, Mary’s exclusive focus on each individual leads to their increased self awareness in both a personal and professional capacity. Colleen Yamaguchi is an experienced lawyer and professional certified leadership coach and consultant, who helps lawyers and other professionals to thrive in their work and personal lives. Focusing on authenticity, intentionality and effectiveness, she collaborates with clients to gain awareness and design actions and plans for achieving goals that work for them within their environments. Colleen is a consultant and Program Chair with the Executive Development Institute, a non-profit organization that provides culturally based leadership training to Asian Pacific and Hispanic professionals from major Pacific Northwest companies, such as Boeing, Microsoft and Nike. She is also an executive coach for participants of leadership programs of Leadership Education for Asian Pacifics. In her leadership work, she draws on her 20+ years of experience as an international transactions lawyer, as partner in two global law firms, Perkins Coie and Sidley Austin, and as senior in-house counsel at an international aviation company. Colleen holds a coaching certification from the Hudson Institute of Santa Barbara, a J.D. degree from Georgetown University Law Center and B.B.A and M.B.A degrees from the University of Hawaii. She is certified in the emotional intelligence assessment instrument, EQ in Action, the Conference Model for Change and the People Skills workshop using the Behavior Styles assessment.